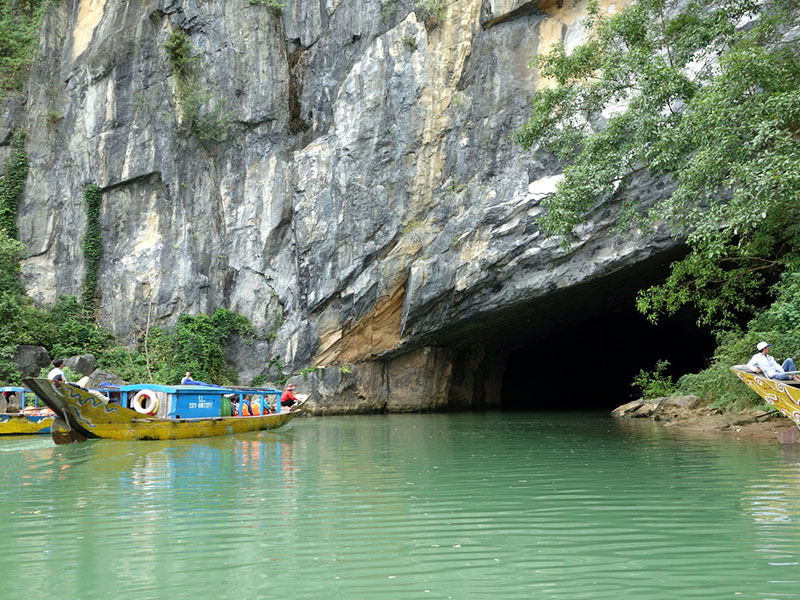 This interesting 6 day pakage is a perfect option for those who love discovering the World Heritage Sites including Phong Nha-Ke Bang national park, Hue ancient capital, Hoi An ancient town and My Son holly land. The trip is especially combined between treasure trove of nature and heritage wonders. 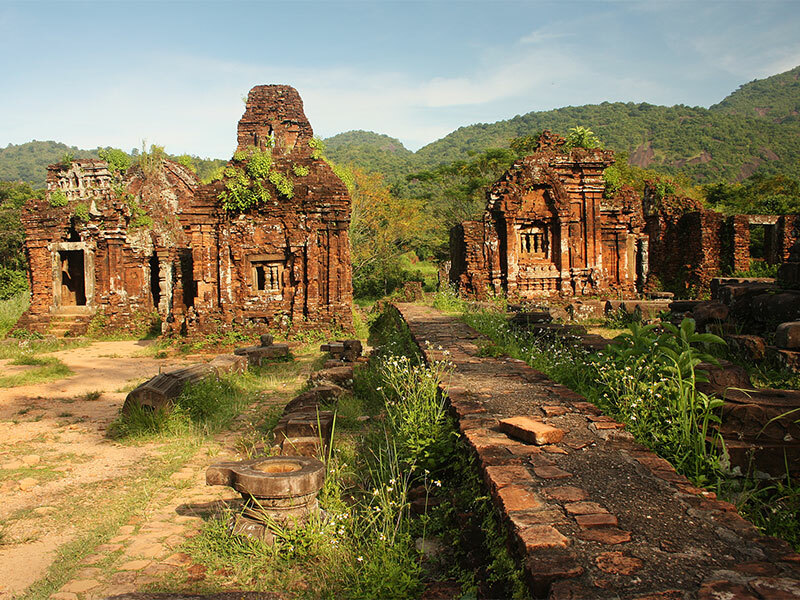 -	Visit most of UNESCO heritage sites of Vietnam namely: Phong Nha national park, the Royal Citadel of Hue, the Sanctuary of My Son, and the Ancient Town of Hoi An. 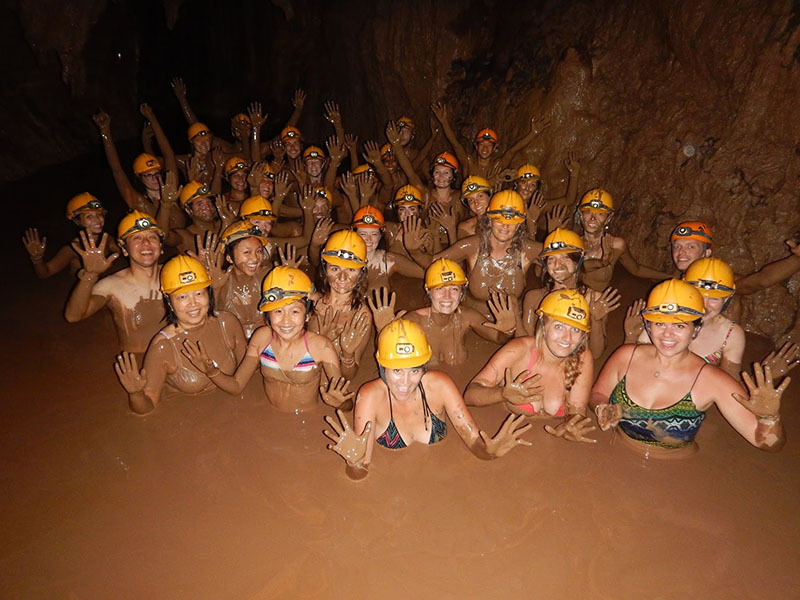 -	Explore the Dark Cave with specialized equipment, swim in the clear and fresh lake and soak in the mud as a ealth therapy. 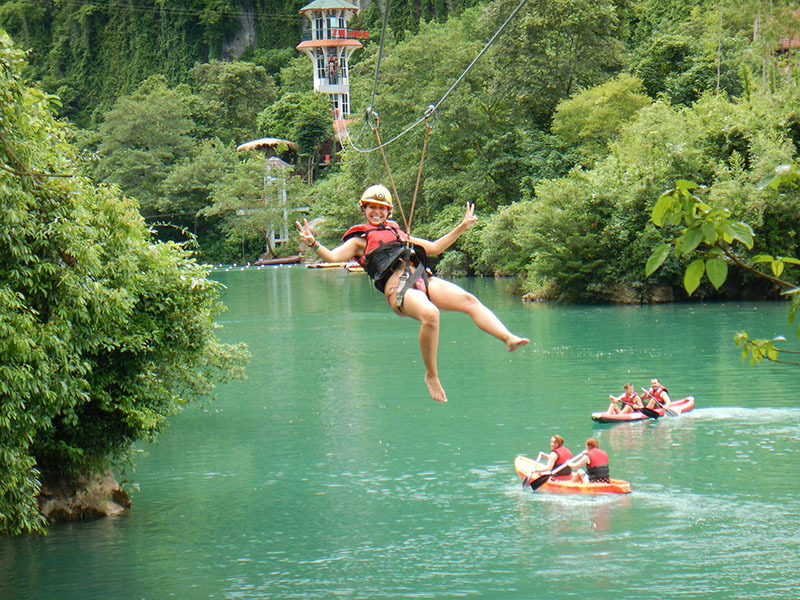 -	Fly like a bird gliding over the spectacular mountains and river in the exploration of Dark cave. 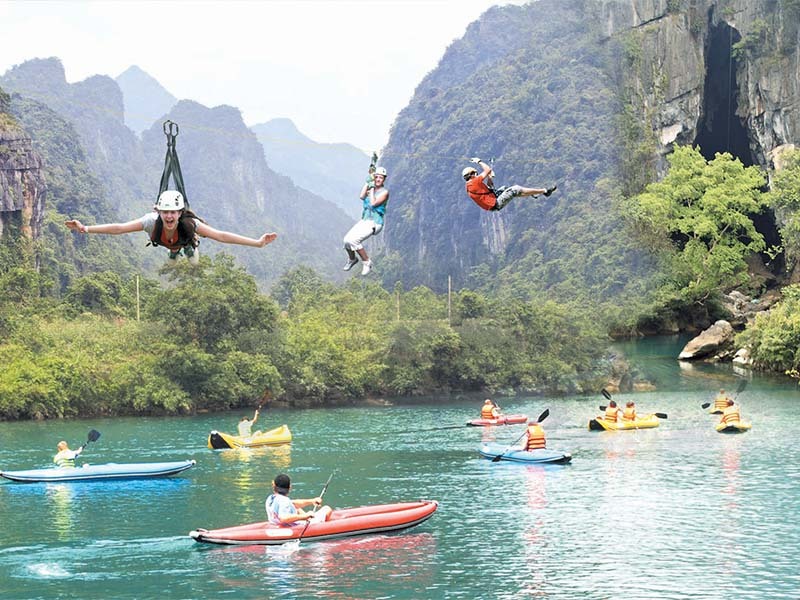 -	Kayak in the romantic Chay river, float along with many intersting games in the river. 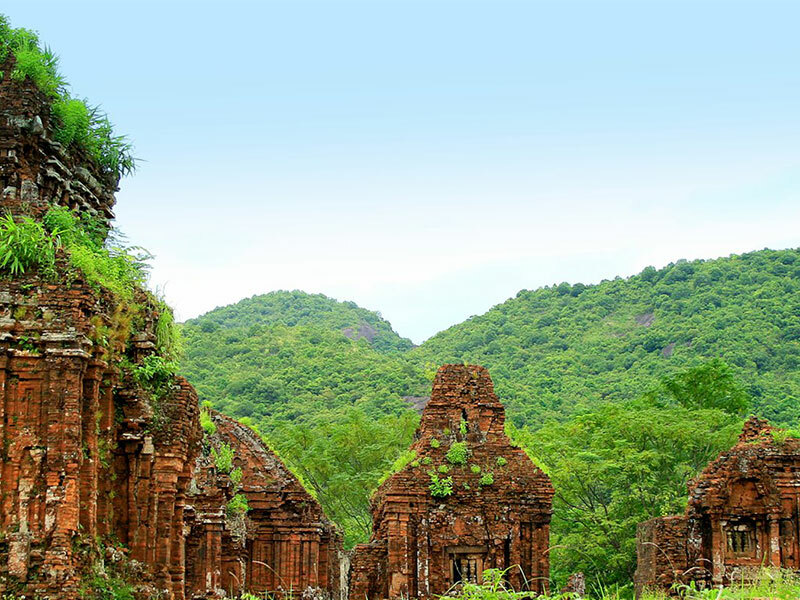 -	Visit UNESCO World Heritage sites – Phong Nha National Park, Hue Imperial City, Hoi An Ancient Town and My Son Sanctuary. 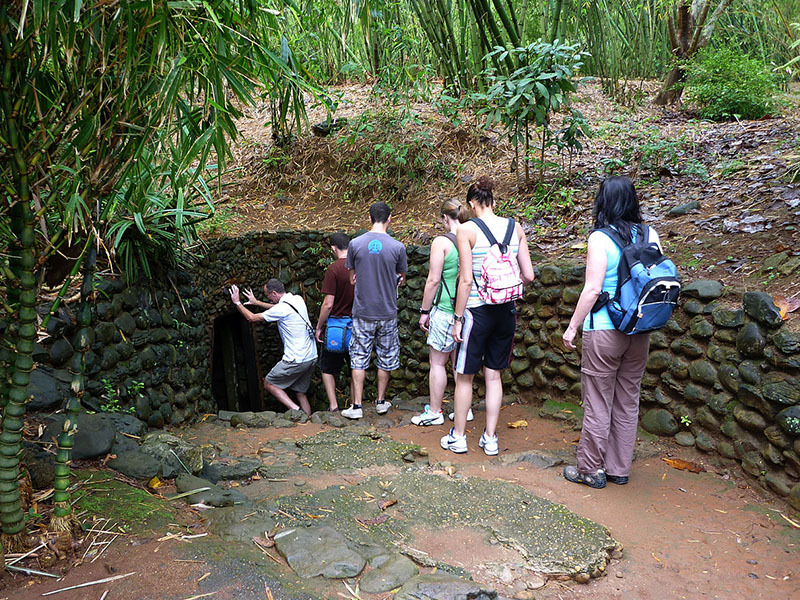 -	Discover underground Vinh Moc tunnels which local people used as a refuge to survive the bombings in the war. 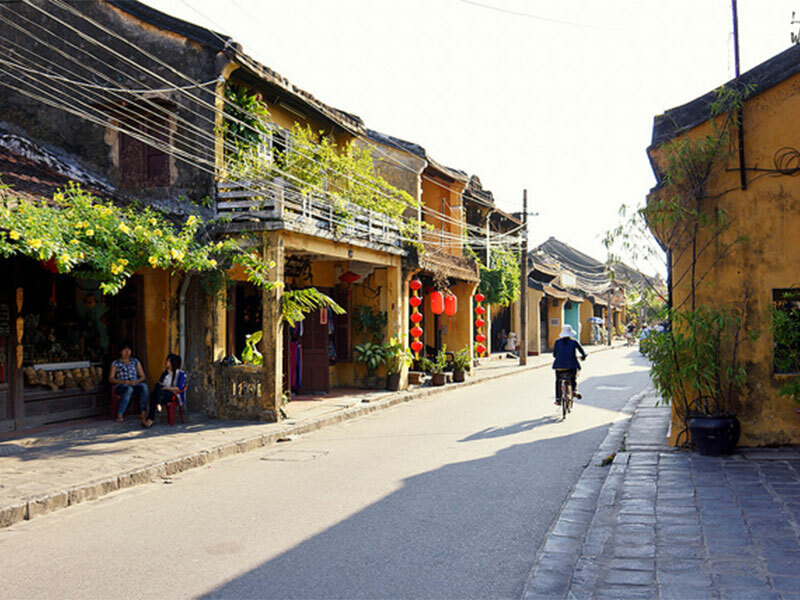 -	Take a walk in the ancient village of Phuoc Tich and learn more about the local lifestyle as well as gain an insight into Vietnamese countryside. You will be welcomed at Đong Hoi airport and transferred to your hotel for early checking in. 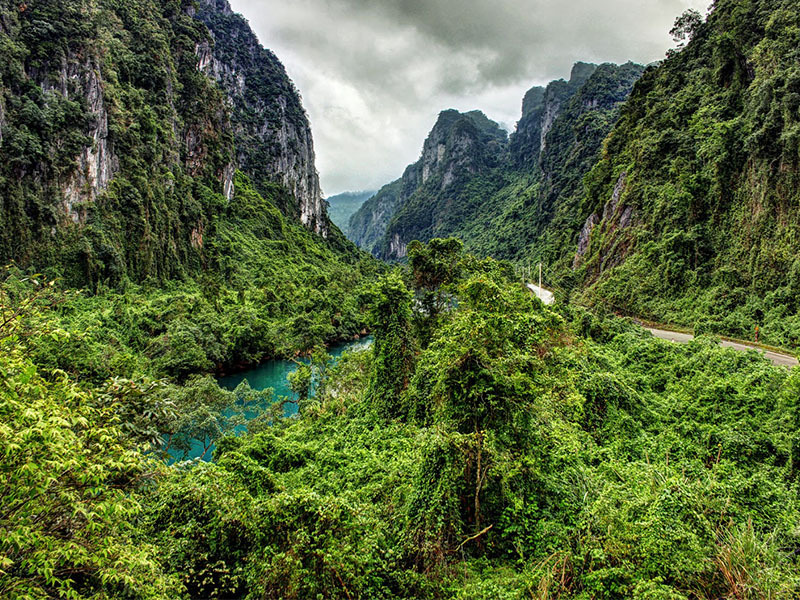 After taking a rest at the hotel, begin your adventure to the Phong Nha - Ke Bang national park in the afternoon. About one and ½ hours away by road, we will reach the Park. The park is also recognized by UNESCO as a World Natural Heritage Site. 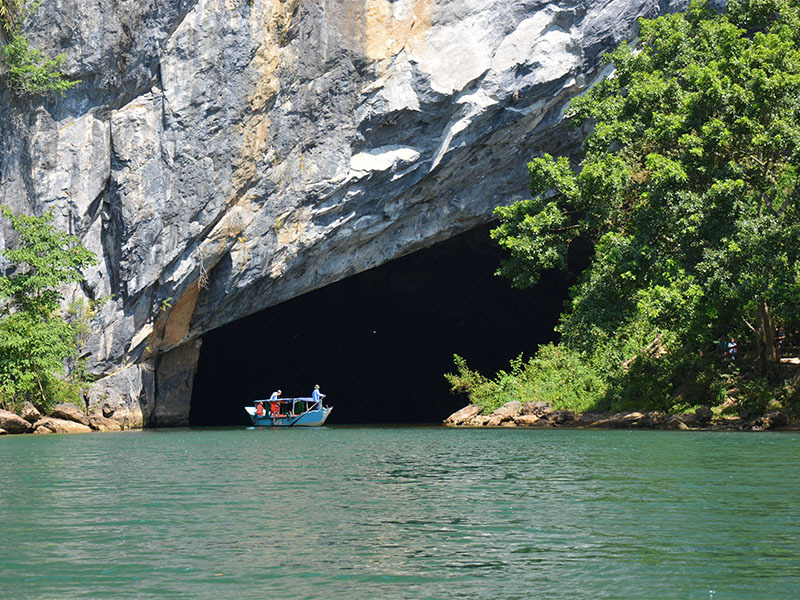 After having lunch at local restaurant in Phong Nha village, board your private boat for the 2.5 km cruise down the Son river to the mouth of the cave. 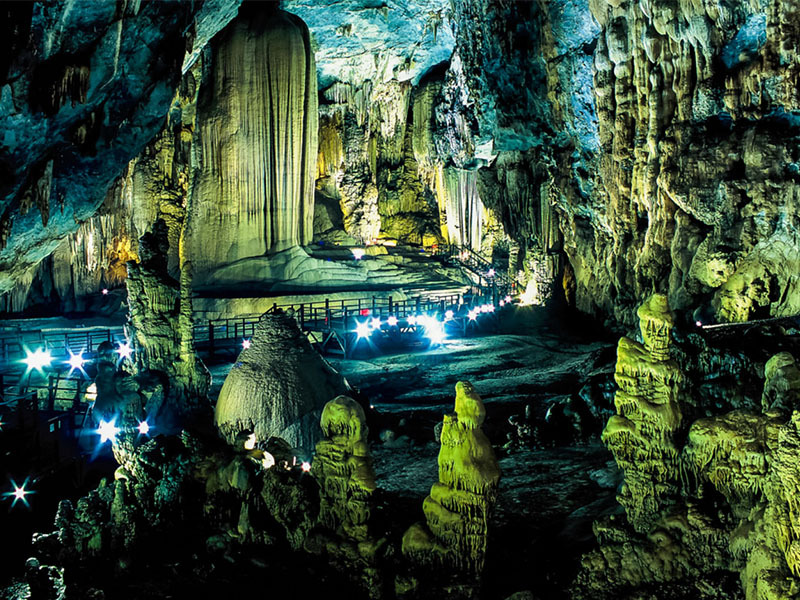 Pass by the entrance to the mystical tunnels, filled with giant stalactites and stalagmites and crystal clear waters and take a couple hours to see the cave. This cave is called as water cave, is famous for its rock formation. 17:00pm: Transfer back to your hotel. Free at you leisure in the evening. Overnight in Dong Hoi. 08:00am: Transfer from hotel to visit Paradise cave an "Underground royal palace", a largest and most beautiful cave in the Phong Nha - Ke Bang area. 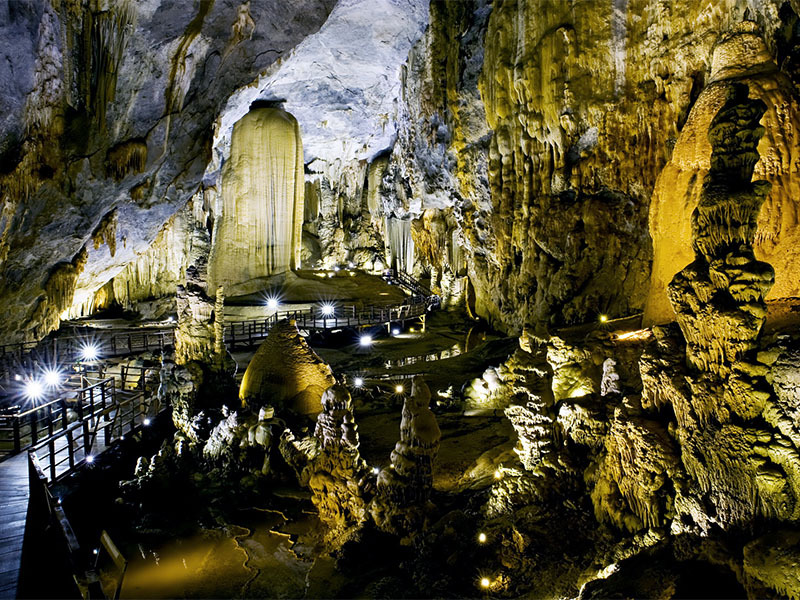 You take the electrical car from the parking to the foothills of the cave (2km) and admire countless stalactites with different shapes in the cave. 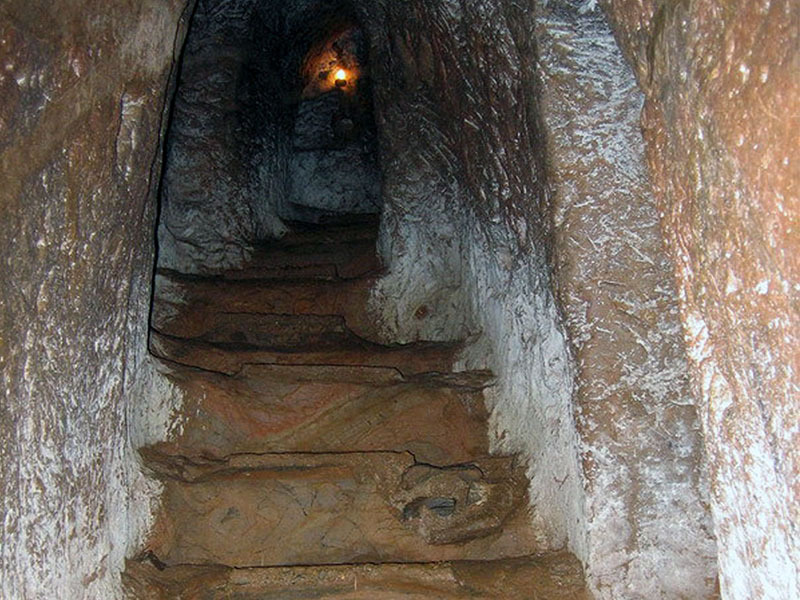 Descend into the cave on a wooden walkway, made to protect and preserve the fragile cave formations. This walkway continues for 1 km through the enormous, well lighted cave. 11:30pm: Lunch at a restaurant with local specialties from the people here processing. 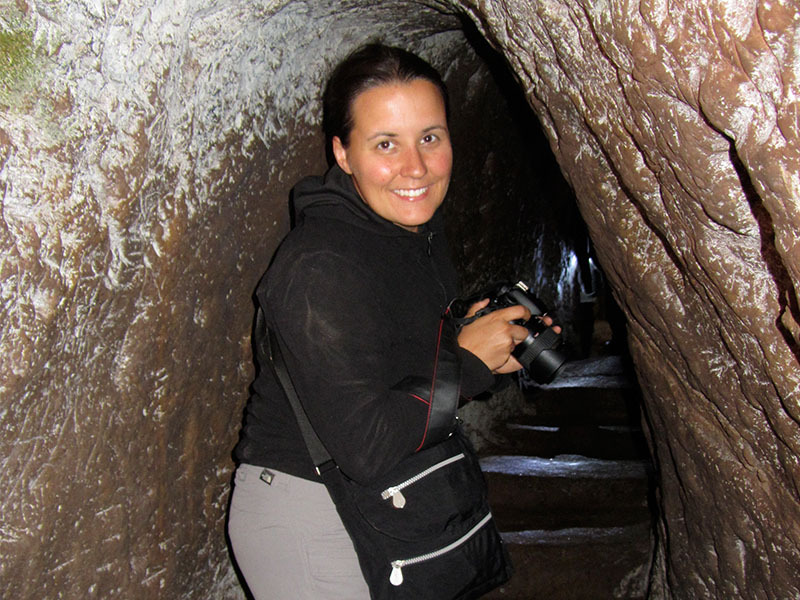 13:00pm: Continue the journey to visit the Chay river - Dark cave. Join kayaking on the Chay River: You will feel the gentle flow, romantic with turquoise blue water color beside limestone mountains magnificent wonders. The two sides of the river are the cornfields stretching picturesque, you will enjoy moments of relaxation while immersed in the natural world. 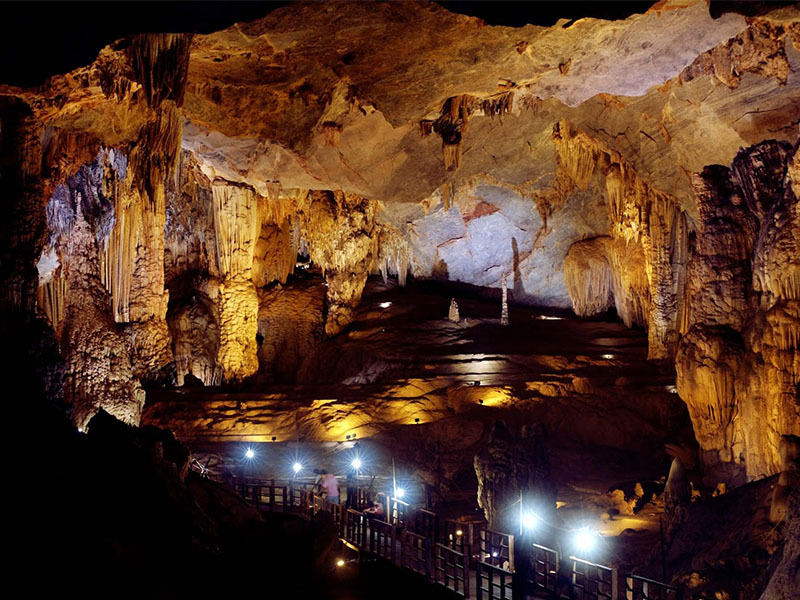 Discover Dark cave, a branch of Phong Nha cave system, no lighting system should remain mysterious beauty, pristine nature. 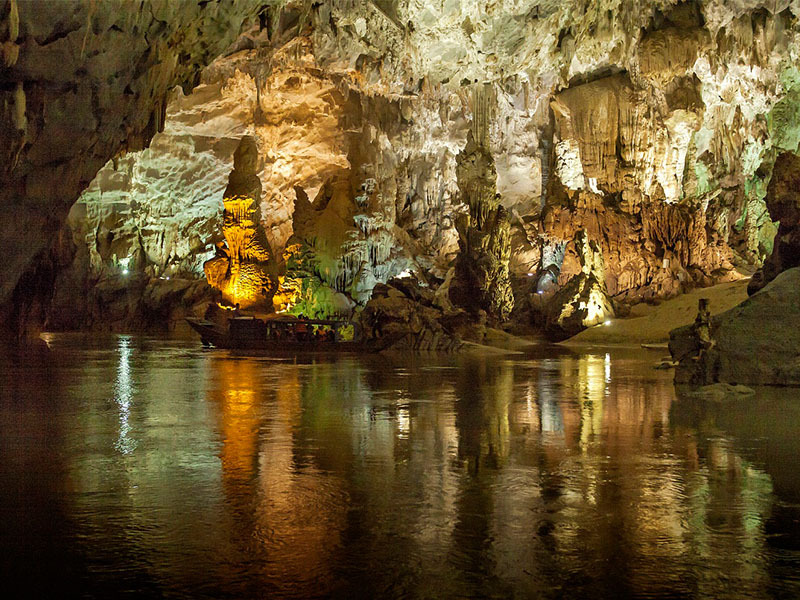 Become a cave explorer with flashlight helmet and dedicated devices discover underground river system, admire thousands of stone columns special shapes. 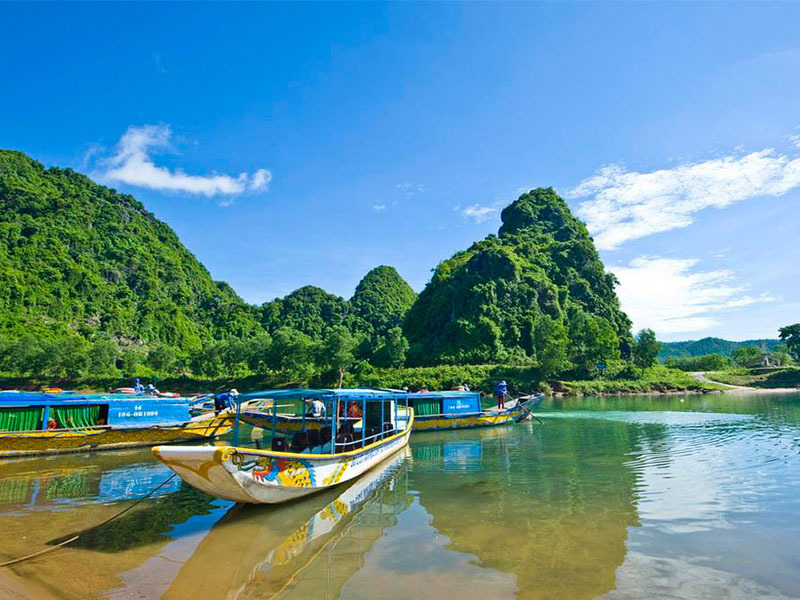 You will have a very interesting experience when natural mud bath or swam across the lake Thuy Tien, lake Bong Lai cool. 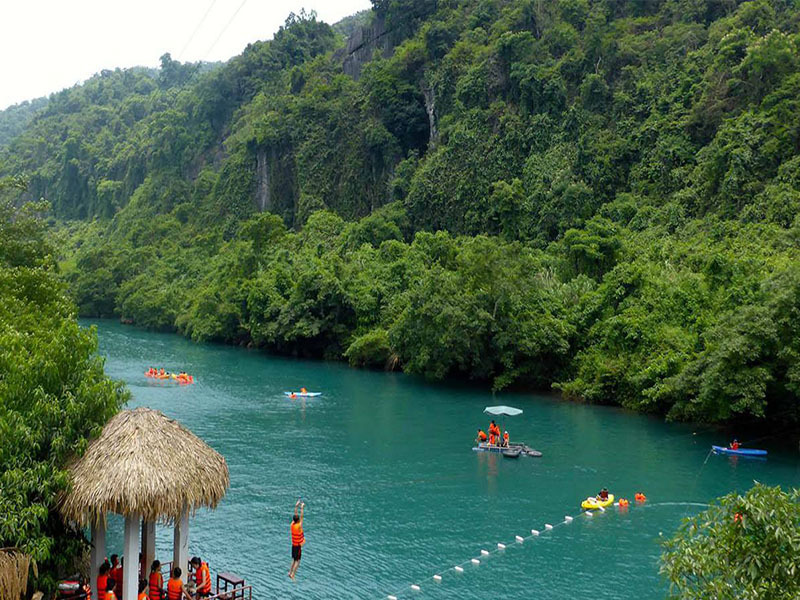 Join zipline aerial trapeze wires, you can place between the river flowing by Zip-Line (very modern) system, participate in water games. 16:00pm: Transfer back to your hotel. Free evening. Overnight in Dong Hoi. Depart early morning, heading south to go to Hue citidel. On the way, the first stop located approximately 2 hours from Dong Hoi to Vinh Moc tunnels. The route is scenic after leaving the main highway passing through quaint villages and skirting along Cua Tung Beach. 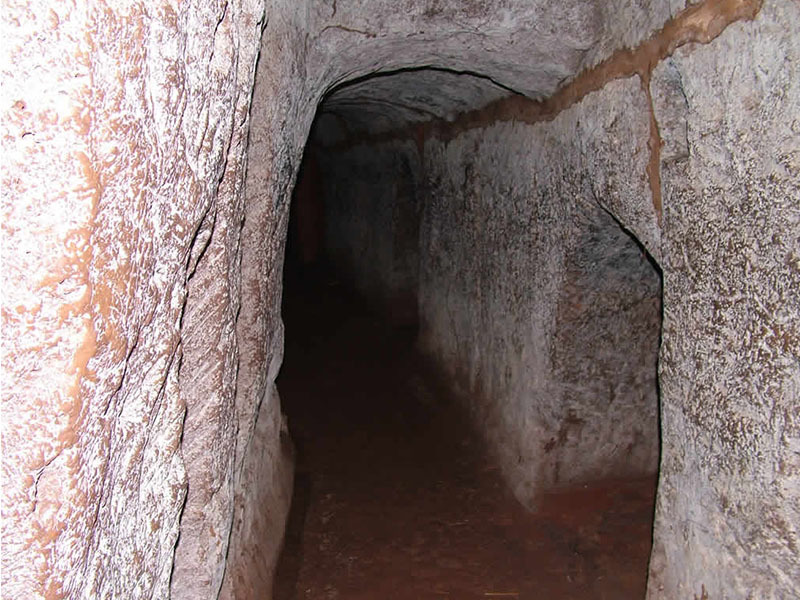 In order to escape heavy bombardment during the war, the villagers constructed approximately 2.8 km of underground tunnels Vinh Moc which they used as a refuge to survive the bombings. Explore the tunnels and enjoy the beautiful sea view upon exit! 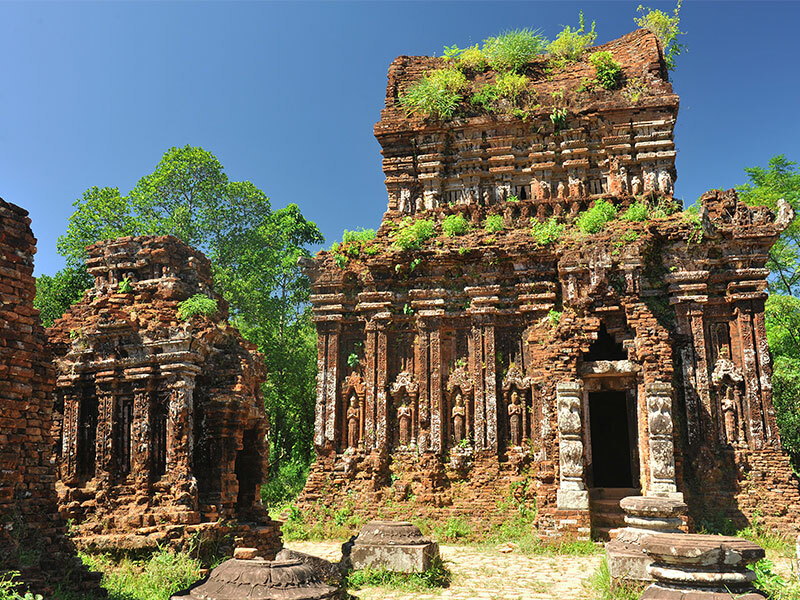 In the afternoon, drive around 30 min to the village of Phuoc Tich. Once famous and prosperous because of its pottery, the village has dozens of homes that are from 100 to 200 years old and several old temples, pagodas, worship halls and communal houses still remain. 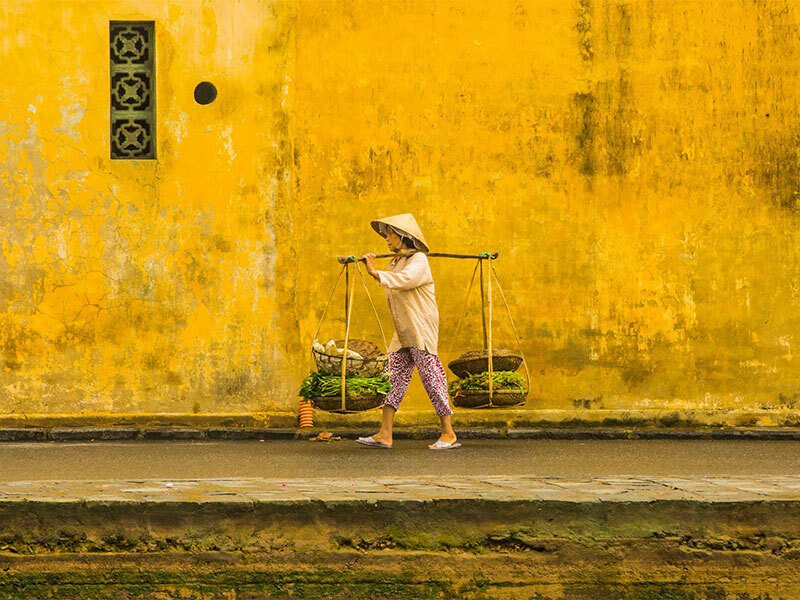 Following your visit, it is one-hour drive to Hue where you will arrive in the late of afternoon. 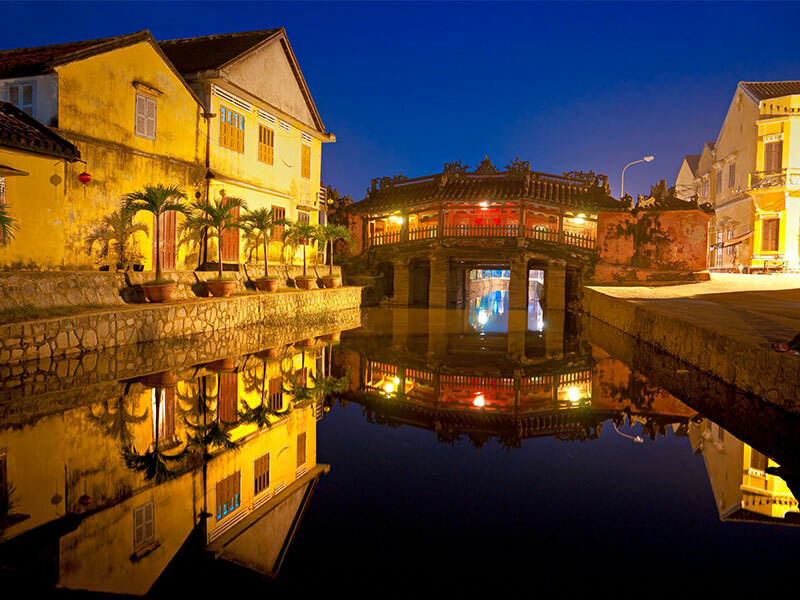 Upon arrival, take a boat trip on the romantic Huong (Perfume) river to visit Hue's best-known religious site, Thien Mu 7-storey pagoda. Overnight in Hue. 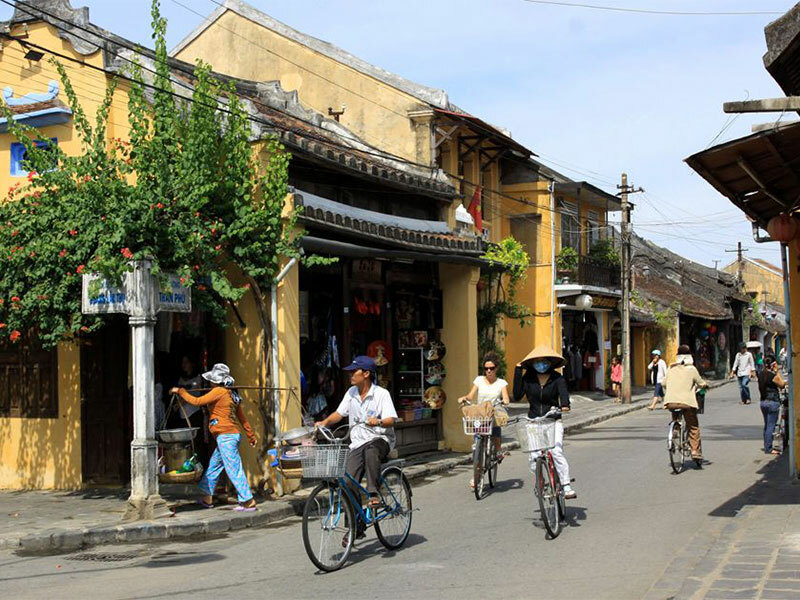 In the morning, visit Imperial citadel from where the Nguyen Dynasty ruled between 1802 and 1945. Stop at Dong Ba market, where you can buy local products for souvenir before transfer to your hotel for checking in. 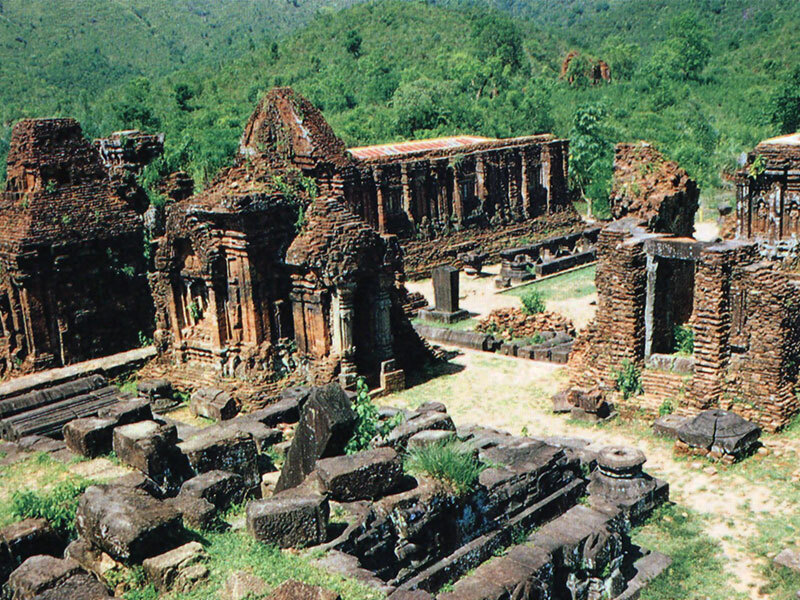 Then, visit Minh Mang royal tomb, a perfect combination of manmade and natural beauty of Hue, where architecture fits harmoniously into the surrounding landscape with a complex of 40 constructions: palaces, temples, pavilions, etc. Have a Vietnamese lunch before leaving Hue for Hoi An (ca. 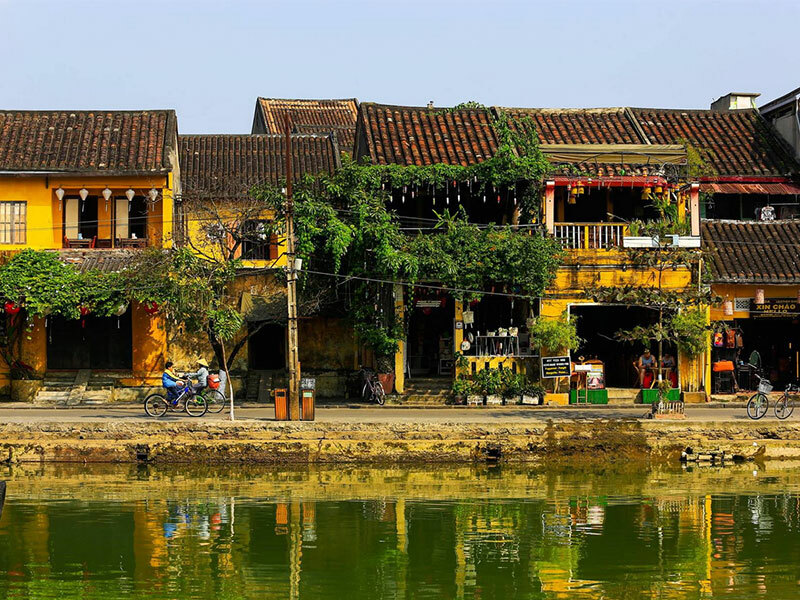 130km with 2,5 hours driving), a major Asian trading port in the 17th and 18th centuries whose architecture and relaxed lifestyle has changed little over the years. The scenic route passes through the wonderfully photogenic fishing village of Lang Co before climbing over the Pass of Hai Van. Drive through Danang and make a stop at the Cham museum (closed on Monday), which contains the finest collection of Cham sculptures in the world. 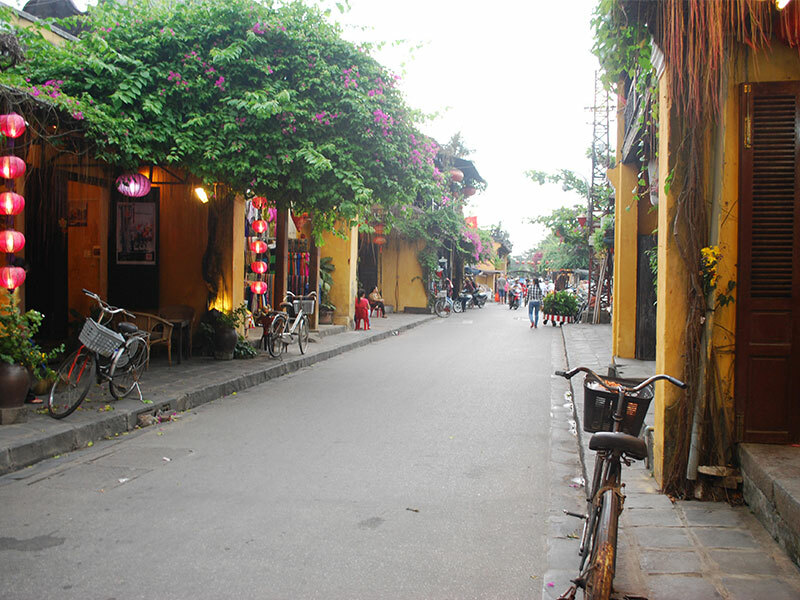 Upon reaching Hoi An, transfer to your hotel for check in. This evening is at your leisure. 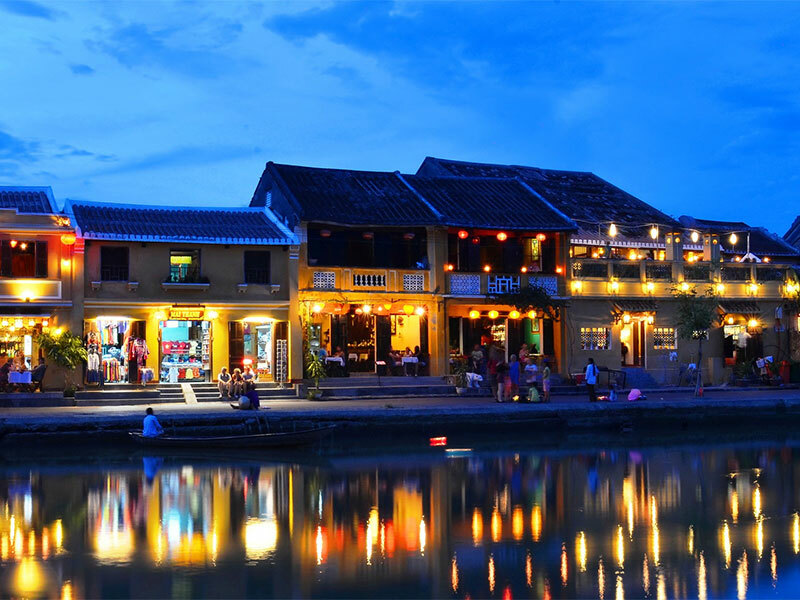 Overnight in Hoi An. Transfer to the airport for leaving flight. End of services.